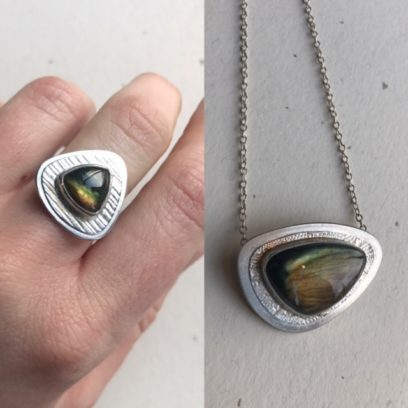 Rachel De Nys first learned basic silversmith techniques at Chantilly High School in Chantilly, VA, and fell in love with them again through classes at Danaca Design. She is inspired by organic shapes taken from plant life that suggest growth and movement through stationary forms. 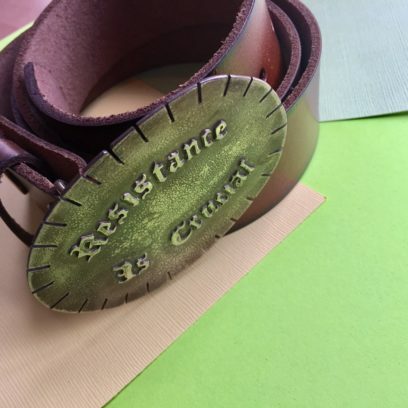 She also enjoys exploring fonts and words in her jewelry, something she was first taken with as a small child while watching her grandfather typesetting at his printing business.